Luke Simon Yuhico, M.D. is board-certified by the American Board of Internal Medicine with sub-specialty certifications in Pulmonary and Critical Care Medicine. Dr. Yuhico joined the White-Wilson Pulmonology team in Fort Walton Beach in 2016. 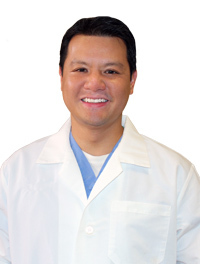 Before moving to the Emerald Coast, he graduated with a medical doctor degree from the University of Santo Tomas. He then completed his residency in Internal Medicine at the SUNY Upstate Medical University in Syracuse, NY. Dr. Yuhico received his fellowship training from the Cleveland Clinic in Cleveland, OH, specializing in critical care, diagnostic bronchoscopy and lung cancer tracks. He is also fluent in Filipino. Dr. Yuhico is passionate about serving others and committed to winning the fight against lung cancer. In his free time, he enjoys being active on the beautiful waters of the Emerald Coast.